The golf ball LED bulbs are a direct replacement for halogen or incandescent golf ball lamps – these LED bulbs are the energy-efficient choice and they are available in a wide range of color temperatures. Some LED golf ball lamps even feature a 3D structure of the LED bulb, which provides a beautiful and unique sparkling effect, thus making them ideal for bars, shop windows and showrooms. The golf ball LEDs are designed to provide instant light without emitting any harmful UV light. They are free of mercury and they are mainly designed for indoor use – however, they can be used outdoors if you add a special weatherproof fitting. Some LEDs come with a special,built-in polycarbonate fitting which make them weatherproof and shockproof. All the LED golf ball light bulbs have low wattages and a lifespan of up to 25 years – for this reason, this type of LED is the most commonly used in homes around the United Kingdom and the US. These bulbs use the latest technology in the field for irreproachable ambiance and light quality. The average life of golf ball LEDs is between 30,000 and 50,000 hours, based on the type of lamp. The low energy consumptions ensures up to 90% savings on running costs. In addition to this, the golf ball type LED light bulbs are available in different finishes such as pearl, colored, clear, milk or matt. There are several different types of bulbs, based on the shape of the cap: for example, the bayonet cap LED golf ball bulb is the most common type of bulb: it has 5 watts and generates between 170 and 200 lumens of light (enough to replace a 20watt or 40 watt traditional light bulb). On the other hand, there is the SBC LED (small bayonet cap bulb), the ES bulb (Edison screw cap) and the SES (small Edison screw cap). 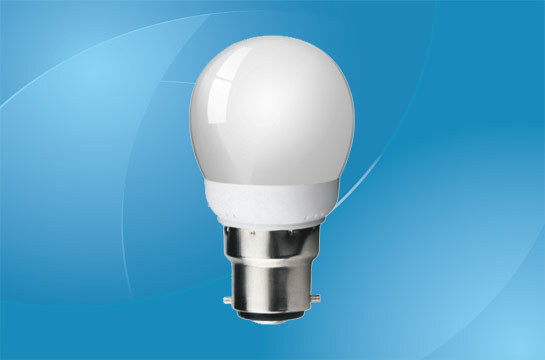 The average diameter of these LED bulbs is of 45 mm, and they are available in various color temperature: warm white, cool white, white, orange, green, red, blue and even color changing temperature. The wattages usually range between 0.7 watt and 5 watt, based on the power of the bulb. On the other hand, powerful golf bulb LEDS (12 w) are also available on the market: they have a luminous flux of 750 lumens (high luminous efficiency of 62lumens/watt), they ensure up to 85% energy savings and they can efficiently replace a 80 watt incandescent bulb. Other important features include the actual power (around 3.2) and the nominal power (40) or the voltage (between 230 and 240 volts). A golf ball LED of 5 or 6 watts is enough to replace a 60 watt incandescent light bulb, and the color rendering index (CRI) is 85. 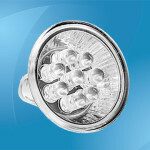 The lights are usually dimmable (although this aspect varies based on the bulb type) and they are CE & RoHS certified. The LED golf ball light bulbs are perfect for a variety of commercial, retail and domestic applications. These LEDs are perfect for residential use, as well as for hotels and a wide range of decorative lighting systems for restaurants. These light bulbs are known for the reduced wattage and replacement rate.